For a budget device, the Chromebook C523 packs a fantastic keyboard, a plethora of ports, solid build, and long battery life. Our review unit’s Intel Celeron N3350 processor struggled to keep up with heavy multitasking, but still easily cut through daily office duties. Its excellent value is only marred by its terrible display and subpar trackpad, which can be remedied by upgrading to the 1080p model and connecting an external mouse. Then again, I couldn’t ask for more from a $300 laptop – that would be too greedy. Chromebooks are analogous with budget computing. Developed by Google, Chrome OS’ compatibility with low-end hardware enables manufacturers to create extremely cost-effective devices. It’s continuously garnering attention, too; Google recently released its new Chrome OS devices lineups late last year, and more recently, AMD announced new Chromebook-specific chips at CES 2019. Asus is no stranger to Chromebooks, and the 15.6″ Chromebook C523 is the largest that it’s made. Interestingly, its display starts at a paltry 1,366 x 768 resolution – quite subpar for 2019 even in the budget end. 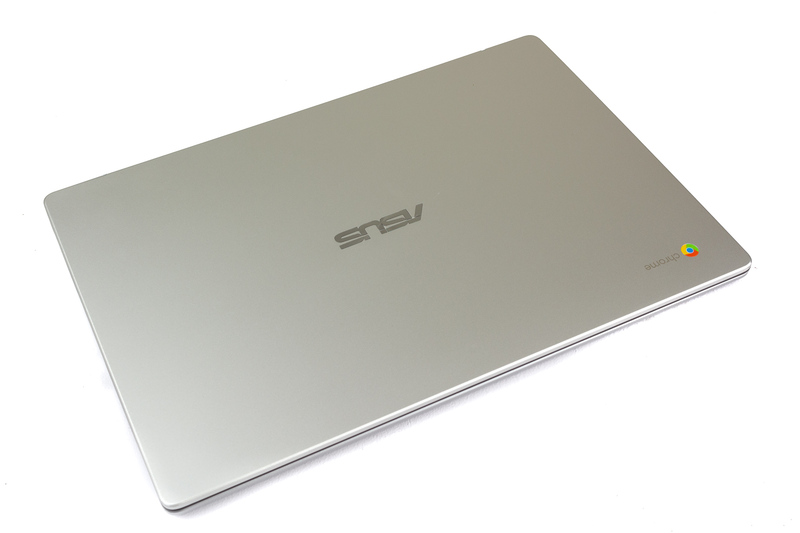 Dressed in a plain platinum coat, The Chromebook C523 dons a down-to-earth feel. Its plastic chassis doesn’t have any of the embellishments of Asus’ premium and mainstream lineups. Asus doesn’t even bother to add its signature swirl pattern on its lid, perhaps as a means to visually distinguish the Chromebooks from its Zenbook series. The platinum plastic shell hides scratches and fingerprints well. Unless actively looked for, they’re comfortably out of sight. Keep in mind, however, that plastic is more prone to cracking than metal when bumped, so still handle prudently. For a plastic chassis, the unit is sturdy as a whole, producing no creaking or bending when I tried to flex it with two hands. The lid is also fairly strong, flexing only under moderate force. 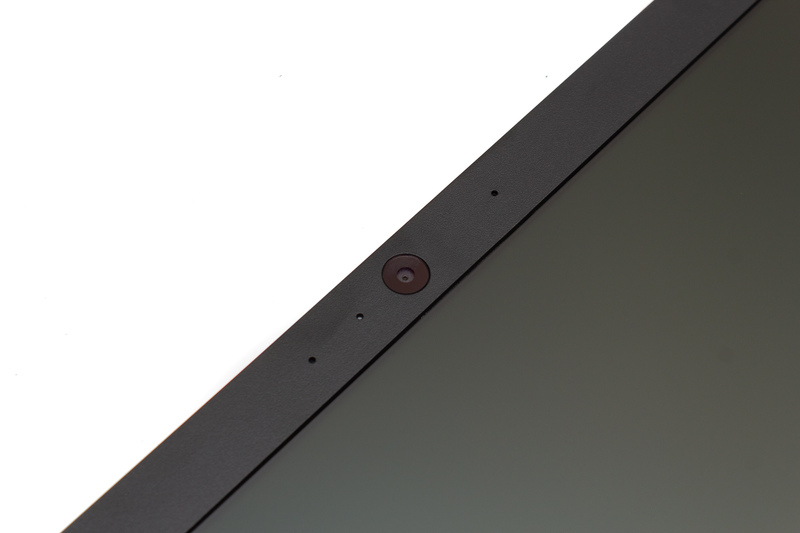 A webcam is embedded in the center of the top bezel flanked by two microphones. Don’t expect them to be studio quality, though. Being a clamshell design, 15.6” leaves plenty of space to install a comfortable keyboard and a large trackpad. Omitting the numpad is both a blessing and a curse: typing is more comfortable because it situates the user in the middle of the screen, but working with large number sets could feel more tedious. The hinge can be pushed back from 0 to 180 degrees and accommodates every angle in between. This is an important feature as you’ll be adjusting its angles frequently. When seated on my lap, the hinge kept the display’s wobble to a minimum. Two bottom firing speakers handle audio output. They’re superbly loud, but sound scratchy when cranked to full. Nevertheless, they should suffice for small conference calls and even causal entertainment purposes. At 35.8cm x 24.8cm x 1.61cm, the Chromebook C523’s dimensions are in the range of other mainstream 15.6” notebooks. Although, at 1.69 kg it’s definitely lighter than most on the market. Backtracking to the point about adjusting the display: yes, you’ll need to adjust it frequently. The display is by far the C523’s greatest weakness. My review unit uses an underwhelming 1,366×768 LCD display. Its low pixel count distributed across a large area creates a noticeable “screen-door” effect where gaps between pixels create a mesh-like feel. Its terrible contrast doesn’t earn favors either, with colors appearing flat and washed out. Furthermore, when viewing the display off-axis, colors would become so distorted that I had to adjust screen positions just to sharpen content at the bottom half of the screen. Don’t expect a solid entertainment experience from the C523. Its only saving grace is that it’s adequately bright and features a matte finish that fends off glare well. My review model touts a dual-core Intel Celeron N3350 processor, 4GB of RAM, and 32GB of eMMC storage. If these specs are too underwhelming, then you can configure your device to have a quad-core Intel Pentium N4200 processor, 8GB of RAM, and 64GB of storage. A 1080p touchscreen option exists as well. Starting with this review, we’ll be including a new benchmark. 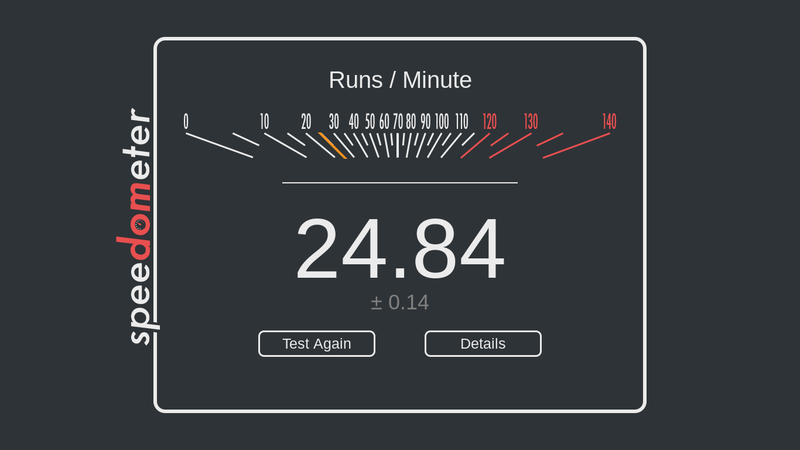 New to the suite is the Speedometer speedtest.org, as it’s endorsed by Google as an adequate real-world web benchmark. Testing Chromebook performance is a bit tricky as my standard PC benchmark suite is not available on Chrome OS. Geekbench does run, though the Intel Celeron processor only did marginally better in multi-core test than it did in single core. I ran the test three times, with 20 seconds intermission in between each run. 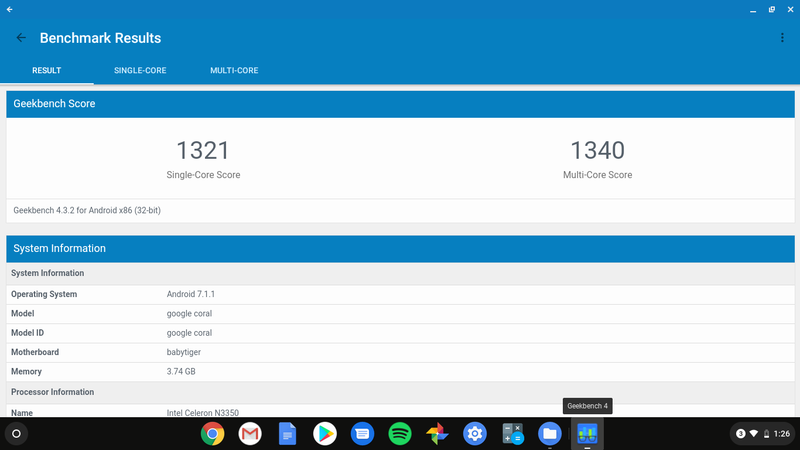 On average, the Asus Chromebook C523 scored 24.95 +/- 0.18. In comparison, a 2011 Lenovo T420 with an Intel Core i5-2420M processor scored around 44 runs per minute. Synthetic benchmarks provide comparison points for devices, but only a human can judge their actual usability. To stress test the C523’s real-world performance, I launched a series of apps including Spotify, Gmail app, Webtoon, Reddit Sync, Trello, Feedly, and Google Chrome with five tabs (Google Maps, Google Docs, YouTube, Google Photos, and Google Drive) open. At the beginning of the test, the Chromebook C523 smoothly juggled all the apps despite its constrictive 4GB of RAM. But as more and more apps appeared, so did the lagging and stuttering. 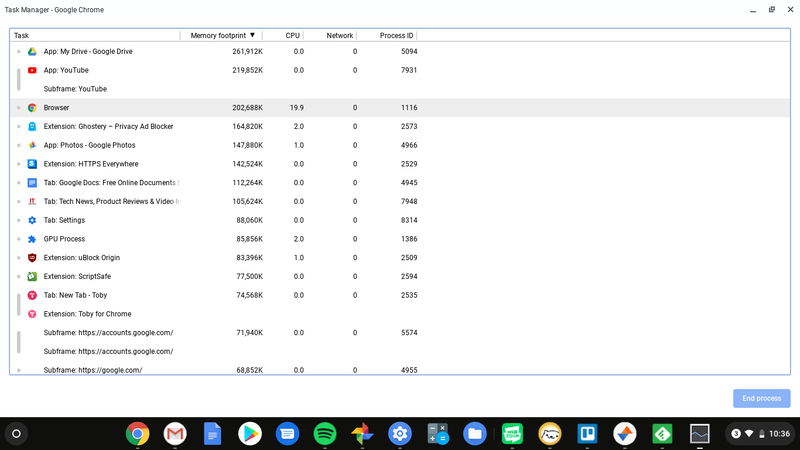 They were especially prominent when switching between apps as Chrome OS push inactive apps out of memory to make room for new ones, forcing the system to reload them when called from the background. Much to my surprise, the Celeron N3350 competently handled Adobe Lightroom Mobile. I applied several post editing features to a 4K JPEG image without issues. The Chromebook C523’s Android app support opens up extra entertainment options by way of gaming. It can run with nearly almost all titles in the Google Play Store as long as you stick to the less demanding ones. Large scale games run like hot garbage, while lighter games like Chess and Neko Atsume run like a dream. The efficient Chrome OS is the primary reason for the Chromebook C523’s fluid experience. 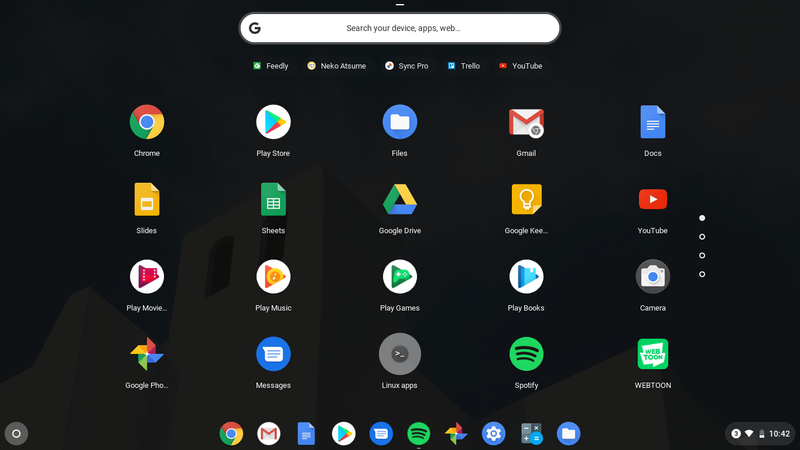 When Google added Android apps to Chrome OS, it finally reprieved the users’ dismay for the barren Chrome Web Store. While compatibility is improving day-by-day, it isn’t seamless just yet. Many apps still refuse to stretch to full screen, while others the vice versa. My review unit doesn’t have a touchscreen, so experiences in some apps aren’t as convenient as they are on phones. Furthermore, a few apps like Feedly completely ignore mouse clicks. Be warned, though, that when you enter a Chromebook ecosystem, you’ll be locked into whatever’s available in the Google Play Store. 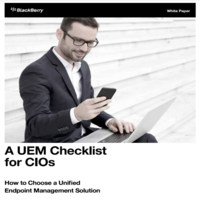 That means full versions of Microsoft Office, external third-party apps, and proprietary business apps are out of the question. Just as I had said in my Google Pixel Slate review, Chromebooks can’t replace a Windows PC if you’re an enterprise worker, but can act as an excellent temporary workstation for mobile work. The C523, like most Chromebooks, includes a free 100GB Google Drive subscription to supplement the abysmally limited onboard storage. The subscription lasts for two years, which is probably how long this device will last anyway. Additional storage needs can be satiated through the MicroSD card reader. Because our review unit uses a modest 6W processor, the fanless passive cooler can adequately dissipate its heat. A fanless design also enables noiseless operation, perfect for a long, lonely overnight shift at the office. Linux mode lets you use Linux apps without switching operating systems. 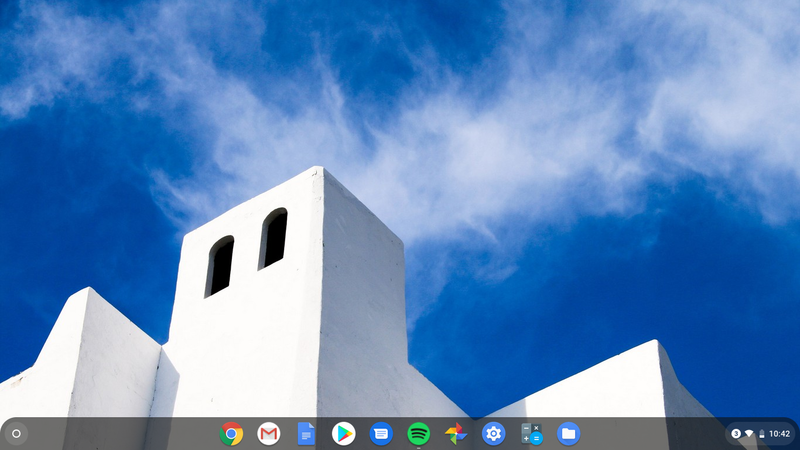 It’s just a container that’s emulated through the Chrome OS. As awesome as this may seem, it’s still in beta so I wouldn’t rely on it for mission-critical work. Unlike the Google Pixel Slate, Google Assistant isn’t built into the OS, and can’t be downloaded through the Play Store. It’s listed as incompatible for the device, killing any hope for voice activity. The C523’s lousy webcam can display the contours of the subject and not much else. Its grainy images are plagued by an awkward blue tint, possibly due to poorly configured white balance. The dynamic range is very narrow too, which produces extremely contrasty, blob-like images. To be honest, I was expecting more endurance from the massive 76Wh battery, especially factoring in the low-end hardware. 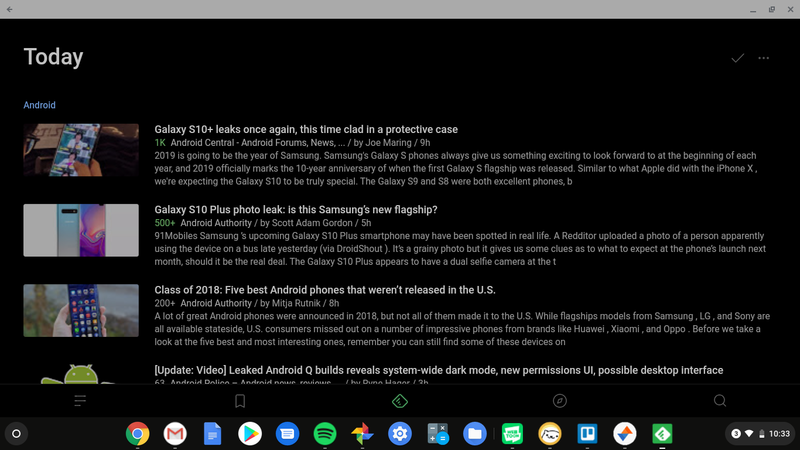 That isn’t to imply the battery life isn’t impressive; going through my daily chores involving a mix of word processing, browsing, media streaming, and several Android apps, the Chromebook C523 lasted 9 hours and 50 minutes. The superb 45W charger brought the laptop from dead to 70 per cent in around 40 minutes. Pushing the laptop to its multitasking limit never drove the processor overly warm. Despite the plethora of apps running in the foreground and background, the bottom of the unit only reached a moderate warmness. Not even applying spot correct in Adobe Lightroom made the laptop uncomfortable to use on my lap. For a laptop keyboard, the one on the C523 is actually pretty decent. Its responsiveness makes work a little more sublime, and my coworkers appreciated its silence. With that said, the keyboard isn’t backlit, and if you’re coming from PC or Mac, the Chromebook’s standard function row takes some time to adjust to. 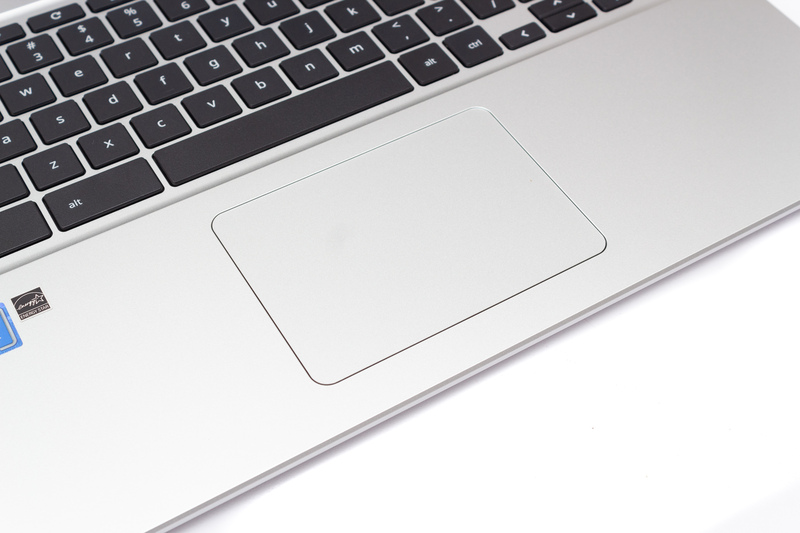 Sitting under the praise-worthy keyboard is a mess of a trackpad. The plastic surface just isn’t smooth enough to use. I strongly recommend an external mouse as a mandatory peripheral. There aren’t any biometric sign-in options, however, so you’ll have to make do with a PIN or password. 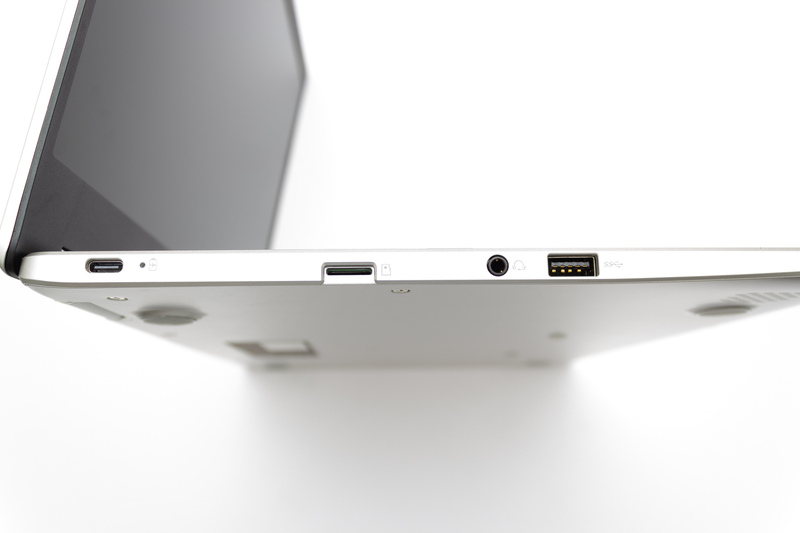 The Chromebook C523 is port galore, equipped with two USB A ports, two USB-C ports, a 3.5mm combo audio jack, and a MicroSD card reader. 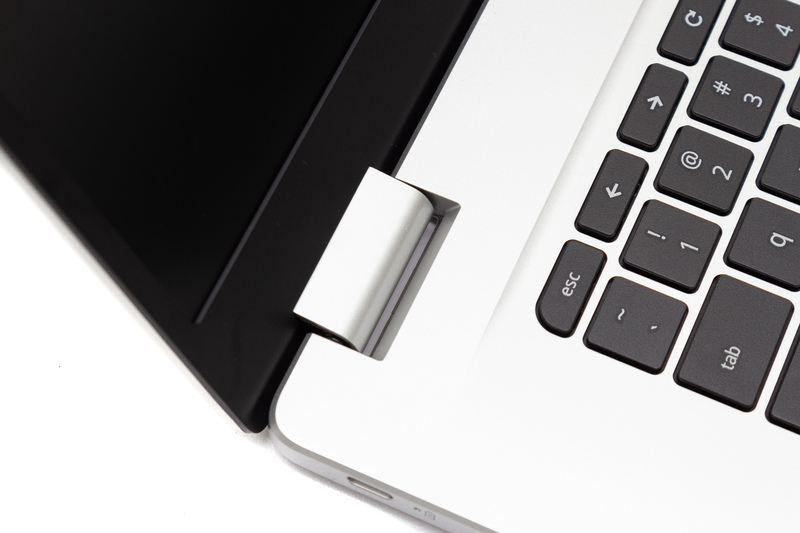 The card reader is recessed so the card sits flush against the chassis when inserted – a subtle yet thoughtful touch. 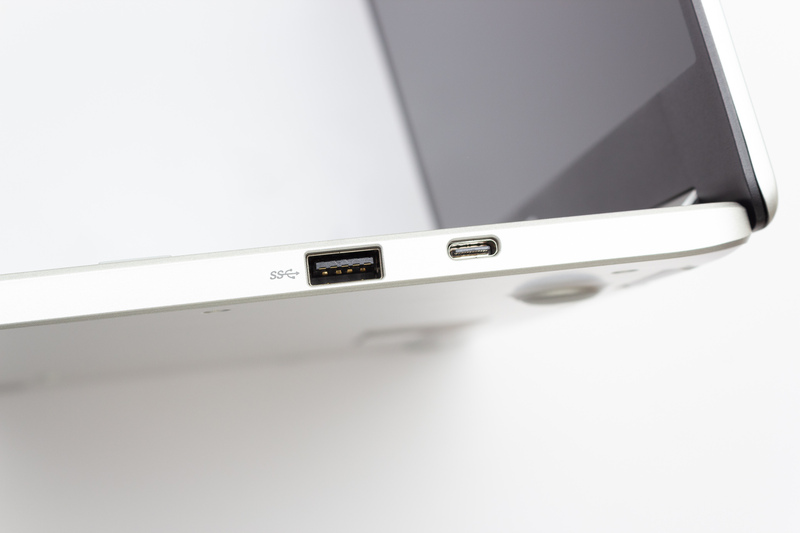 Charging is handled by the USB-C port on the top left corner. 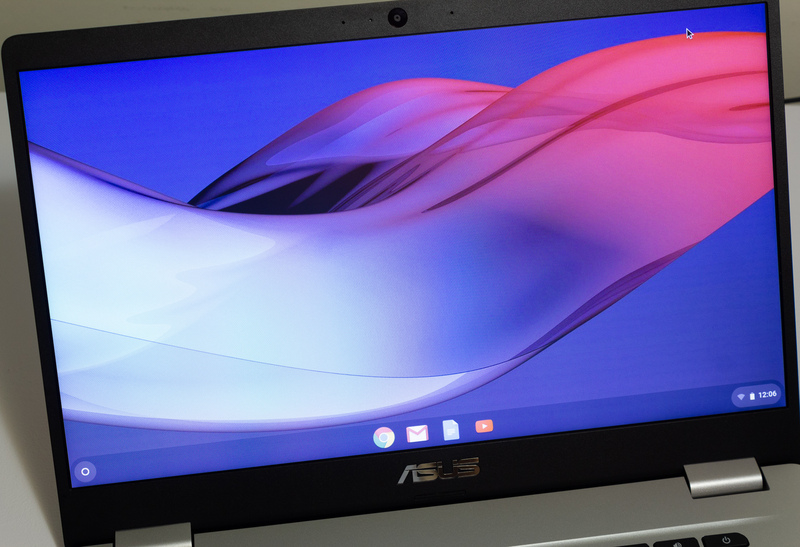 The Asus Chromebook C523 is one of the rarer breeds of 15.6” Chromebooks. Other Chromebooks in the same price range either have lesser specs or a much smaller screen. It’s welcoming to the see a larger display option for under $400. The Acer 15.6” Chromebook matches the Asus Chromebook C523 spec-for-spec and excels where Asus fails: the display. Its 15.6” 1080p IPS display provides a much more comfortable viewing experience than the C523. Then again, it’s also twice the price, so whether the display is worth it is up to you to decide. In my opinion, Windows PCs below $400 deliver too poor of an experience. Their basic Celeron and Pentium processors are too lackluster to drive Windows 10. Although Microsoft does offer the heavily-trimmed Windows 10S for basic performance, app selection and quality in Windows Store is too subpar for daily use. Going for $313.75, it’s worth considering for those who need the bare minimum. These are users like kids, teachers, or any businesses that need to equip their offices on a budget. They’ll need to be replaced the moment the user’s needs grow beyond that envelope. If its Zenbook series is any indication, Asus has always been acute of the latest design trends, and its acumen has seeped into the Chromebooks. Although it’s just $313.75 on Amazon, the C523 looks way above its price class. Regardless of how it looks, being in the budget category is directly indicative of its performance. The base model C523’s dual-core Intel Celeron N3350 processor can only drive the most essential daily tasks, and heavy multitasking feels like dragging my brain through molasses. Gaming is fine as long as you stick to lighter titles like 2048 and Piano Tiles. But some may not even get to experience these problems as the C523’s dreadful display may immediately turn them off. If you’re looking to purchase this device, do yourself a favor and upgrade to the 1080p display, at least then you’ll be able to mitigate the rampant screen-door effect.